RUSH: We got a call from Chappaqua. This is maybe a first. This is Dean in Chappaqua, New York. Welcome to the program, sir. Hello. CALLER: Hey, Rush. I’ve got a great story for you. A few years ago when your books first started coming out — your kids’ books — I went to Chappaqua library — I live in Chappaqua — to get one of the books for one of my kids. So I go in; I asked the librarian — young girl, her twenties — for the book. She said, “Oh, we don’t… We don’t have any of those. You know, we don’t carry that. But, you know, we can get it from another library, you know, in the network. “But, you know, you really don’t want that book. It’s not really historically correct. It’s not really a good book.” And I said, “Well, have you read the book?” And she says, “No, I haven’t read the book, but I just know. I talk to people.” And, you know, at this point in time I was getting a little annoyed because, I… You know, it’s enough I live in Chappaqua surrounded by these people, ’cause I’m not one of them, and then this. CALLER: So I said, “How many copies of Hillary’s book do you have here?” Dozens! I mean, they were everywhere. It’s also around when her book came out. And, you know, she kept going on about, you know, how she didn’t think it was the right book. She could recommend some other books for my kids. And it was at that point where the more mature librarian came over and told her to go to the back and she would handle this customer. (chuckling) And then, you know, they put me on the list to get a book from another location and that was that. 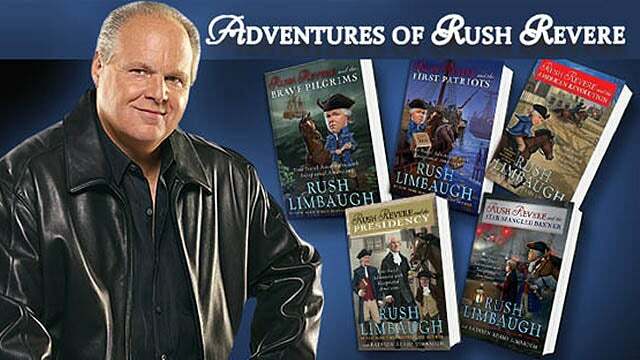 But, you know, I was just offended by the audacity of this young librarian to tell me what book I can read because, you know, it was the evil Rush Limbaugh with his inaccurate history. RUSH: (laughing) I’m sure you do. About virtually everybody. I remember my first book, The Way Things Ought to Be. When it came out, I walked into a bookstore in New York and I asked for it and the sniveling little clerk in there said, “I think that’s in the cooking section.” And, lo and behold, it was — turned upside-down — in the cooking section.